(1) What legacy will this digital age provide in drawing from new forms of digital scholarship, new presentation methods, and new online platforms that enable scholarship that expands beyond the academy and enters into dialogue with various publics? (2) What will the results of such experimentation look like, and how can we harness existing tools to make the spaces we create with these tools relevant and engaging, in the process forming new hybrid scholarly/public digital communities? (3) a stage of post-experimentation critique in which we critically examine the ways in which these newly envisioned transformational tools and content have the capacity to both facilitate and constrain our aims. (1) Critique from multiple professional perspectives a wide range of existing tools and electronic publishing platforms including Scalar, WordPress (including CommentPress and Commons in a Box), DH Press, Smashwords, Kindle, Open Journal Systems, BePress, Omeka, MediaWiki and Curatescape, examining platforms and tools using a range of criteria including the ability to effectively link and cross-relate data, the ability to create highly accessible archives and databases that make full use of metadata to allow for self-generating content areas, and ease of navigation and facile design that invites full engagement and participation by multiple audiences. (2) Examine innovative ways in which organizational strategies are applied to form online communities that move beyond the constraints of academia, such as HASTAC, which is an alliance that both crosses traditional disciplines and “the boundaries of academe and community,” among other boundaries. A deep critique will give us the freedom to wrangle some of the problems that collaborations between publishers and libraries often have little opportunity to address, such as how to collectively pursue best practices in rights management and the use of metadata. Typically, libraries and publishers often work in parallel rather than collaboratively, approaching similar problems with different arrays of solutions. Our intent in this collaboration is to actively engage these problems by taking into account both of these perspectives and the advantages that can be gained by creating synergy between them. At the same time, such specificity of critique and problem-solving cannot be achieved without a meta-dialogue on the goals and principles of our experimentation process in which we discuss what scholars and reading communities really want and need as new publishing formats, as well as consider with which publics we should engage when we consider the public good and the Crowd. In addressing the gap between traditional scholarship and digital scholarship, our working group seeks to design a makerspace that makes use of new forms of digital engagement as well as new strategies for digital community building. 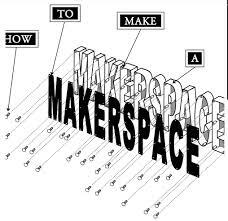 The makerspace we envision would take advantage of multiple inputs, crowdsourcing, and interactive environments. The tools that we critique and explore will form the basis for constructing digital environments that enable broader interchanges across audiences. Intentional design goals will encourage dialogue across academic and public boundaries, taking advantage of the opportunity to establish the Makerspace as a place of engagement that includes community building, collaborative publishing and archiving.